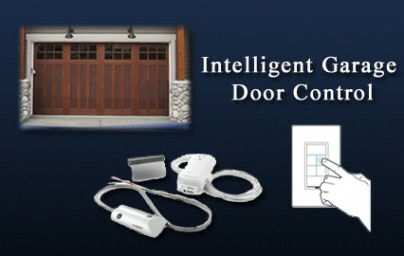 We have recently completed some installations where we used existing garage door control and took it to the next level. Does your home KNOW what is happening in and around it? Does it notify YOU when specific things happen or when problems arise? Well we can help you turn your everyday house into a smart home. 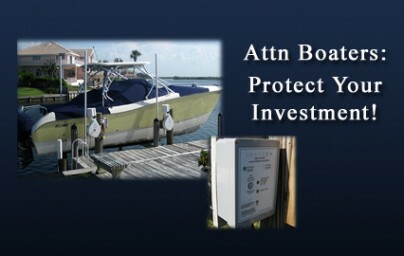 Are you looking for a way to secure your boat and protect your investment? We can give you peace of mind by turning your home into a Smart Home ! Home automation, or turning your home into a ”Smart Home” means many things to different people. To some it may be simply turning on lights via a remote control. For others it might mean security devices, such as cameras, automatic locks, motion sensors and motion lights. More advanced users install additional devices to control sprinklers, thermostats and air conditioners, garage door openers and other appliances. Still others combine all of these ideas and control them over the internet, via their computers or a web enabled device, such as a mobile phone, laptop, PDA, or web tablet. At Duprey Home Automation, we can automate everything in your home, and give you the ability to check the status of all your lights and appliances, as well as view your security cameras, check the HVAC settings, monitor your sprinklers and do it all from a web page on your iPhone or other mobile device with web access. Lights, appliances, security systems, access to doors and windows, HVAC, home entertainment devices (all your A/V gear!) Phone systems, Irrigation systems, garage door openers, pool/spa pumps, plant watering, and much more. At Duprey Home Automation, we set everything up and train you how to use the system. We stand behind every job we do, and are always available to help and or modify your system for you. Call today! Call today and let us give you a brief in home demonstration of what is possible.